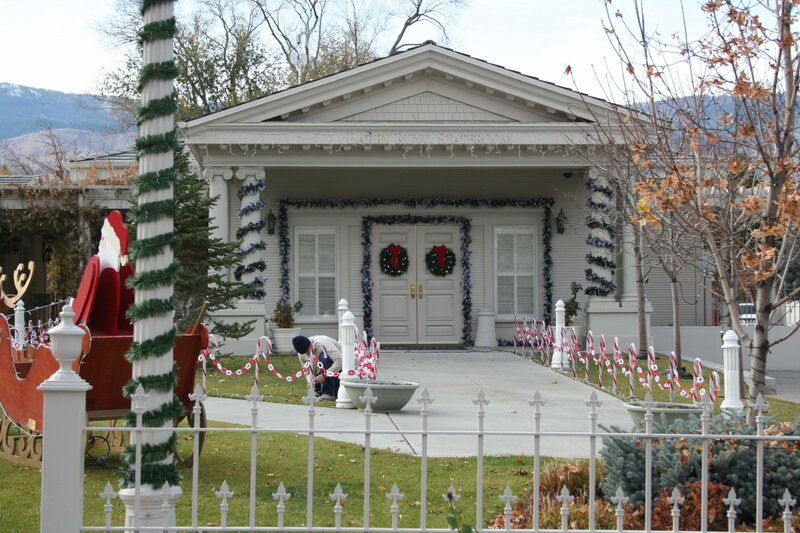 In case you thought you had to wait until after Thanksgiving to put up Christmas decorations, don’t sweat it. 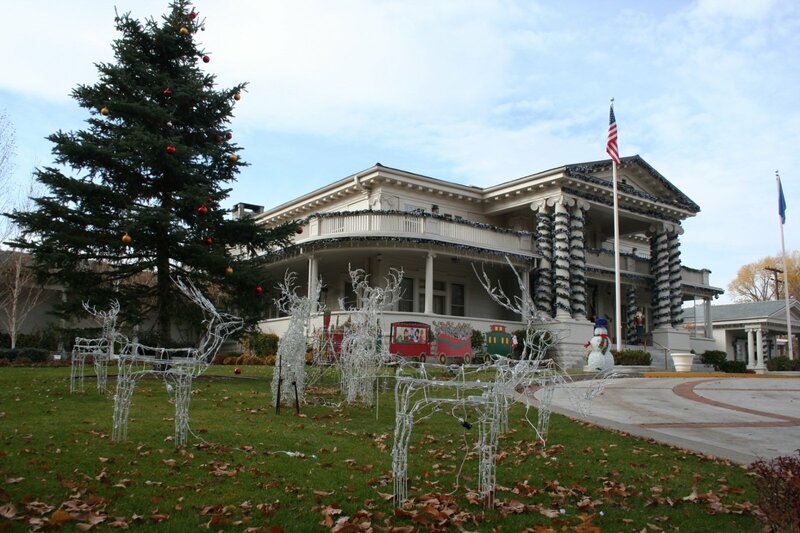 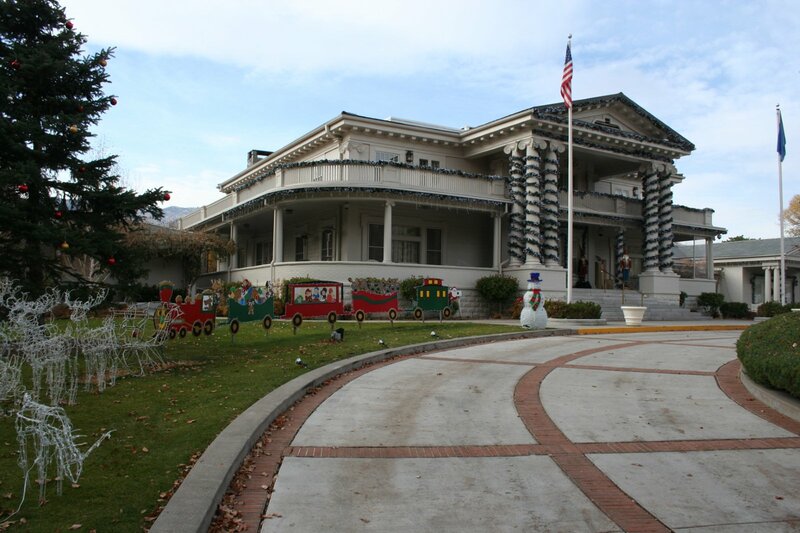 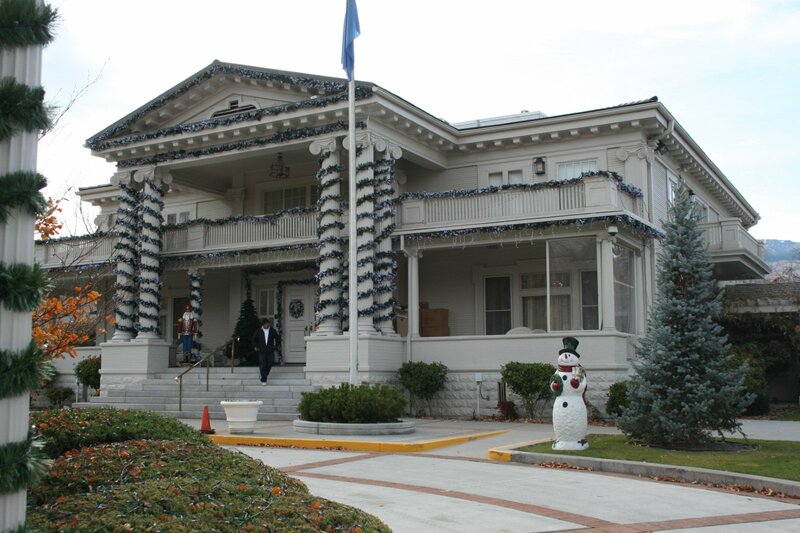 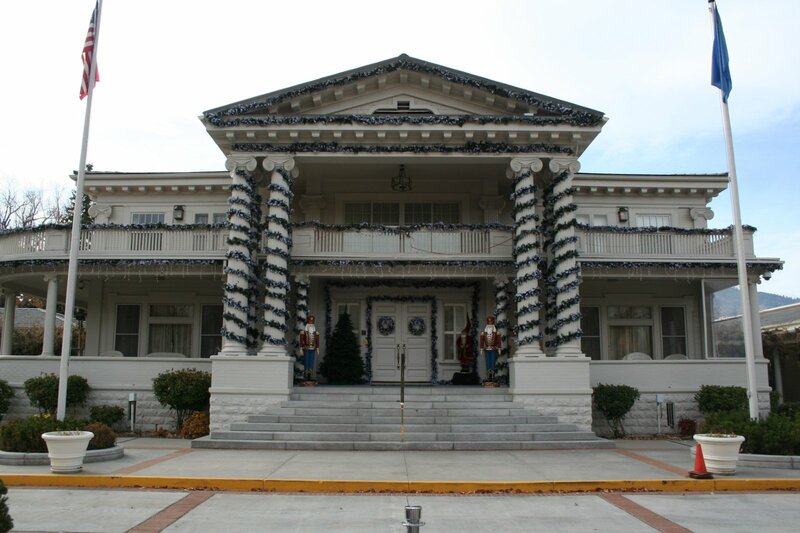 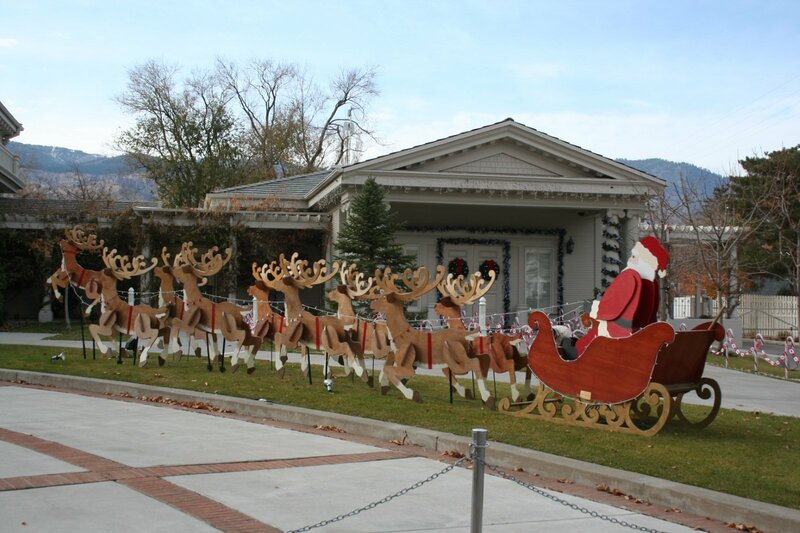 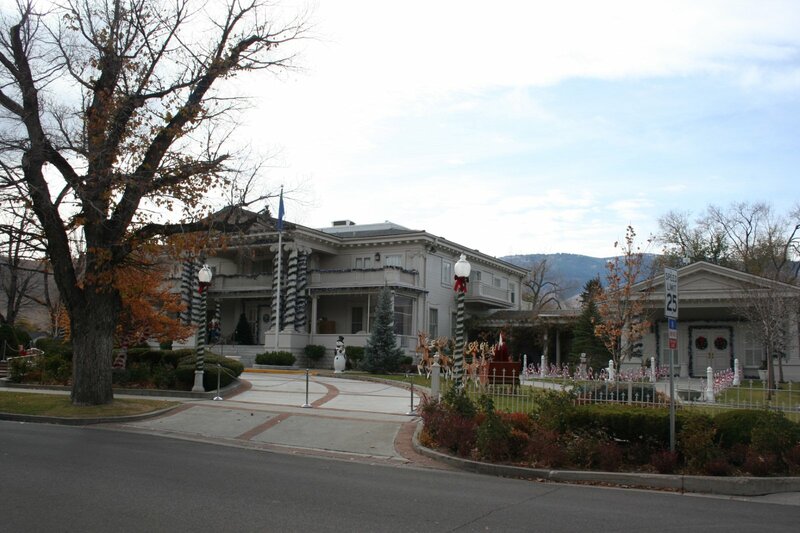 You can just follow the example of the Nevada Governor’s Mansion, which seems to have taken down the Halloween decorations with the left hand while simultaneously putting up reindeer with the right. 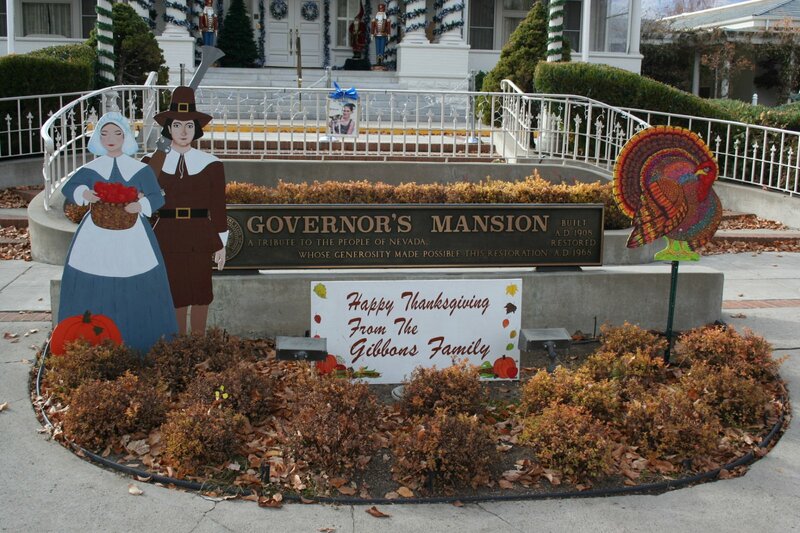 And if you were worried that Thanksgiving had been skipped over entirely, don’t be. 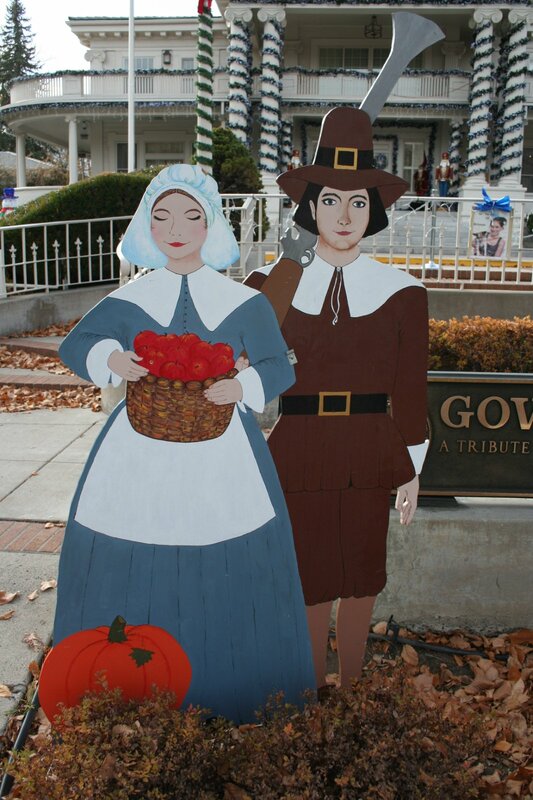 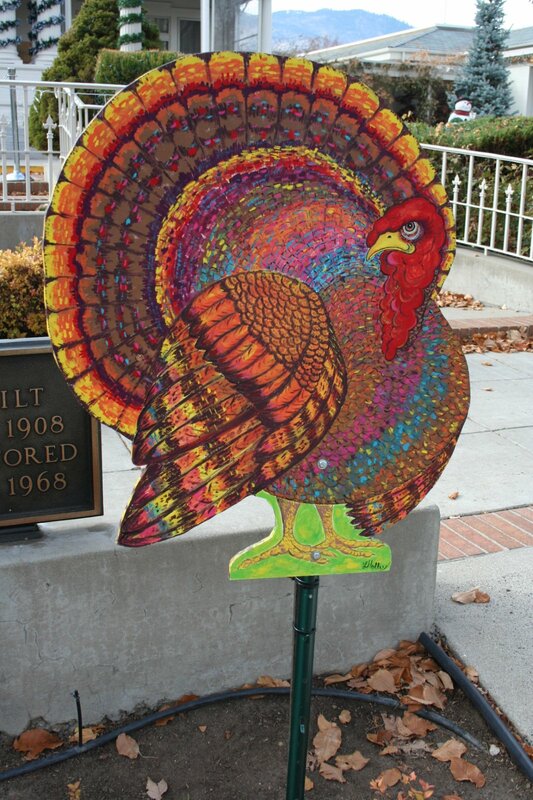 There is a little tableau out by the street, where the “Gibbons Family” brings you apples and muskets and Technicolor turkeys.